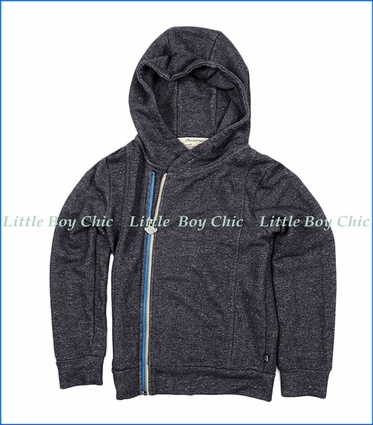 We love the myriad styling details of this hoodie by Appaman. French terry lining. Asymmetrical front zip closure. Contrast placket and logo pull. Panel front. Charcoal heathered hue. Soft terry lining provides warmth. Wide ribbed hem.